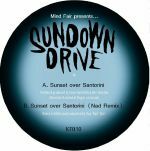 Review: After the last 12" from Nick Murray and Kris Baha landed back in 2016, Kinfolk finally makes a welcome return with a surefire Balearic tumbler from Sundown Drive, a project purportedly presented by Golf Channel and Rogue Cat cats Mind Fair. "Sunset Over Santorini" is a gorgeous, 70s-tinged jam with pattering percussion, loose and easy bluesy guitar licks and a slinky bassline to die for. It's cool as a cucumber and twice as loose. 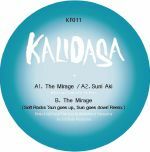 Mustafa Ali's Nad project takes the reins on the B-side with an electrified remix of the track that heads into wonderfully tweaked out dubwise territory for the trippers.